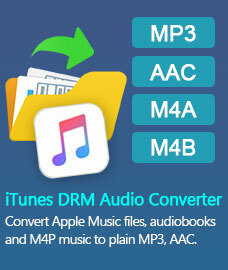 PDFMate Free PDF to Image Converter - Convert PDF to Image with Outstanding Quality and Fast Speed. If you have PDF file, you can only read it with PDF reader. If you have PDF file and PDFMate, you can not only read PDF, but also can enjoy them in eBook reader, web browser, and watch it as image or video. It sounds good, isn't it? But the more surprising thing is that you can do all these things for free! PDFMate Free PDF Converter is your handy tool to convert PDF documents to EPUB, text, image, HTML and SWF freely and quickly with excellent quality. With PDFMate PDF to Image Converter, you are able to export pages from PDF files as images easily. It just takes three simple steps to finish the whole process with only few seconds. Integrated with advanced features and user-friendly interface, this PDF to image converter is the ideal application that transform PDF file to JPG image file format through straightforward speed without any distortiona. • Concise interface, clear function organization. • Easy operation, non-technology knowledge required. • Convert PDF files to EPUB, Text, Image, HTML and SWF. • Support protected & encrypted PDF documents converted. • Multi-language supported: English, Japanese, German, Franch, Chinese. • Convert PDF files with rapid speed. • Adding single or batch PDF files are available. • Enable to read PDF file with this free PDF converter. • Flexible settings for converting PDF to image. • Save converted files in different folder. • Standalone application works without Adobe Acrobat Software. 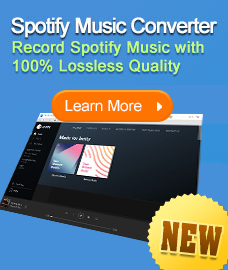 • Compatible with all popular Windows OS like XP, Vista and Windows 7. Step 1: Download PDFMate Free PDF to Image Converter, Install and Run This Program. It is recommended to save the setup file on your computer and create a shortcut on desktop, it is convenient for your operation. Double-click PDFMate icon on the desktop, you can open this free PDF to image converter. Click "Open PDF" to load the PDF file into PDF converter freeware, adding batch PDF files is also supported. The PDF file you added would be listed in order and the information of the PDF filename, size, total page would also be displayed. Choose output file format as image. Go to the output format zone, choose IMAGE. Advanced setting for image: each page of PDF files as an image or extract all images in PDF files. Press button "Convert" to start conversion from PDF to image. The status bar would show the conversion process. When the conversion is finished, the status will show success. Find the converted file: Click "Open" next to convert button, it would open the destination folder. Here, you can check the converted image files. By PDFMate Free PDF to image converter, it is an easy thing to turn PDF documents to image (JPEG) file. What's more, you can customize the image file as you like. Like the quality of the original PDF file, then you will be impressed by the converted image file with PDFMate.